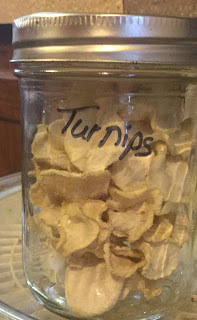 We harvested the last of the turnips recently and I decided to dehydrate them. Dehydrating is a great way to preserve the harvest. When you dehydrate foods, they shrink down in size and you can store a lot more in a very small amount of space. Dehydrating preserves the vitamin content and allows items to last for a long time too. 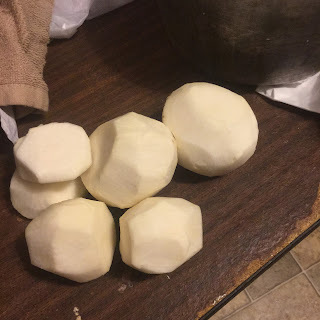 You can rehydrate them and use them as you would a fresh turnip. They go great in soups, stocks, stews and casseroles. Actually, anything you would put a sweet potato into a turnip would be good in it too. You can also eat the dehydrated turnip chips as a snack. To dehydrate turnips, wash your them and then cut off the ends and peel them. 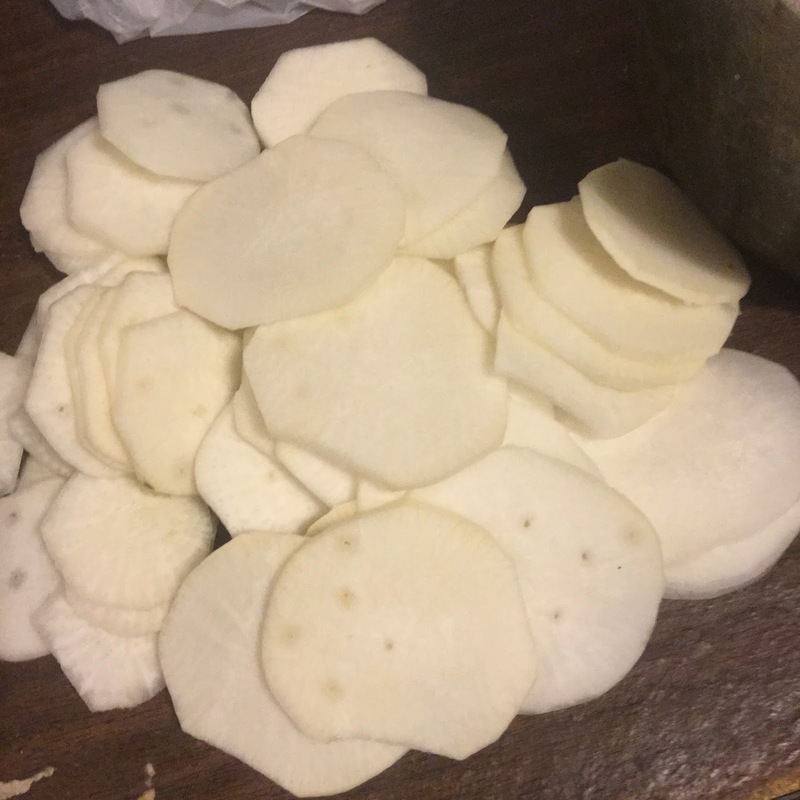 Next using a sharp knife or your mandolin, slice the turnips into slices about 1/4" thick. At this point, many people will tell you to blanch your turnips but I never do and they still turn out fine. I just place them on my dehydrator trays and turn it on. If your dehydrator has a temperature setting, set it at 125 degrees and turn it on and let them dehydrate for 12 hours. You know they are done with they are brittle but can bend just a little. Store in an airtight container until you are ready to use them. Be sure to read my posts on how to dehydrate Leeks and Parsnips!